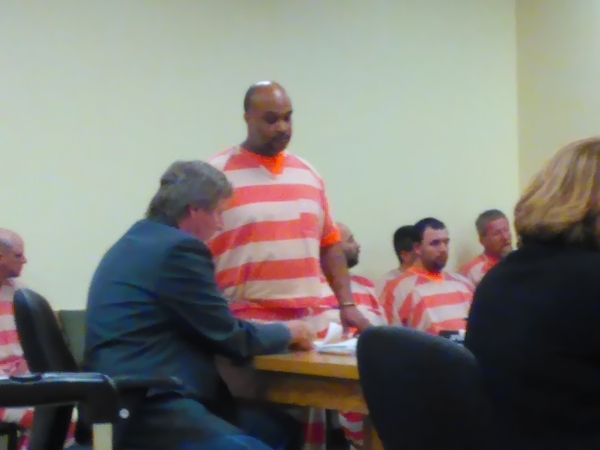 The pair charged with shooting and injuring a female inside the Pahrump Nugget on Jan. 9, appeared in Pahrump Justice Court on Tuesday. 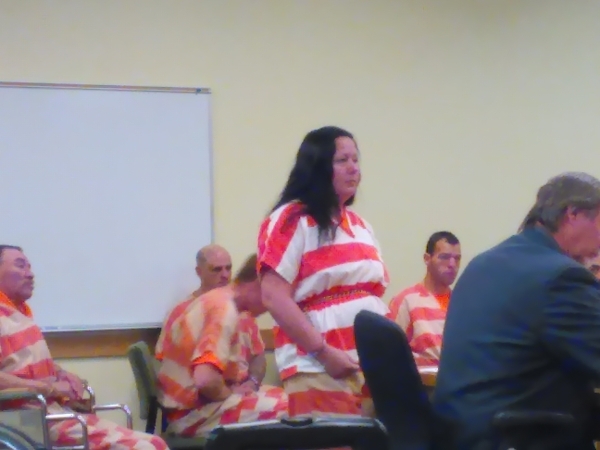 Lee Anthony Daniels, 46, and Desiree Lewis, 36, had their bail lowered to $250,000 each, and remain in custody at Nye County Detention Center. Both were arrested in Las Vegas and booked on multiple felony charges including attempted murder in connection with the 12:11 a.m. shooting at the Pahrump Nugget Hotel-Casino. Judge Gus Sullivan appointed both a public defender after inquiring whether they were financially able to hire an attorney. Details surrounding the case were not discussed during the hearing. Sullivan appointed defense attorney Jason Earnest to represent Daniels, and Nathan Gent to represent Lewis, after both said they would not be able to afford attorneys through their jobs. Daniels, a father of three, said he was employed at Wings N Things and Draft Picks. Lewis, mother of three, said she worked at Best Western. Pretrial for both suspects is Feb. 3 at 1:30. A preliminary hearing is scheduled Feb. 11th at 9 a.m.
Nye County Sheriff’s deputies and detectives responded to the Golden Harvest CafÃ© on Jan. 9 after reports that a black adult male fired one round at a female after a verbal altercation ensued between them. According to police, the male was then observed fleeing with another white female adult in a vehicle. The incident was witnessed by several employees and customers, as well as captured on video surveillance. No other bystanders were injured. Daniels and Lewis were located in Las Vegas where both were arrested with the assistance of the Las Vegas Metropolitan Police Department. Other preliminary charges listed for Daniels and Lewis include battery with a deadly weapon, assault with a deadly weapon, discharge a weapon in a casino and possession of firearm by prohibited person. The shooting victim, a female whose name is being withheld, was transported to University Medical Center in Las Vegas with a leg wound. Contact reporter Selwyn Harris at sharris@pvtimes.com.